Packaging for food, health products or chemicals. Emballator Mellerud Plast covers it all. With their 25 production units, they produce packages from 25 milliliter up to 25 liters. Put simply, one production unit contains a blow-molding machine, packaging machine and a granulation mill. One of their products is sport bottles. 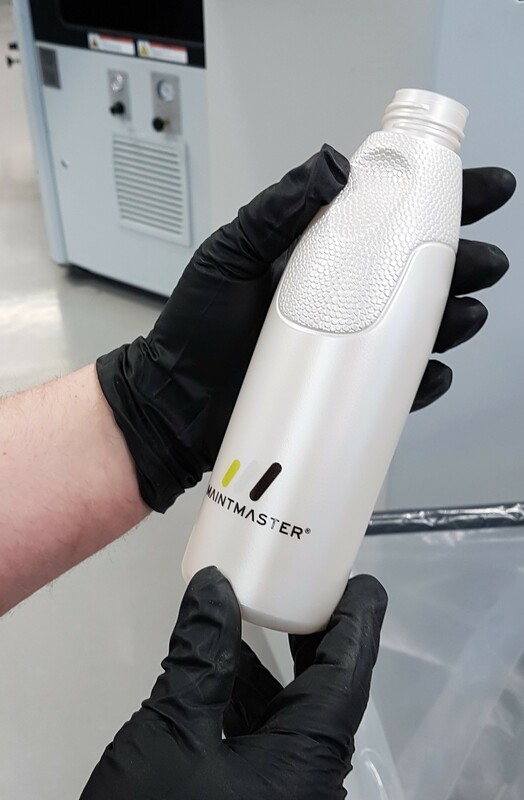 The plastic for these is delivered as granulate before it goes through a vacuum system, becomes mixed with the right pigment (if it is to be colored) and, finally, it is blow molded into a bottle. If something goes wrong, the material is returned to the granulation mill for recycling. Emballator Mellerud has been using MaintMaster ever since November 2016. The system is mainly used for fault reporting and preventive work. The company works quite a lot with their preventive maintenance, both regular and major cases. For example, each machine is stopped once a year for a major maintenance, which takes up to 3 days. Stefan Svensson is responsible for maintenance at Emballator Mellerud. He works on planning the preventive maintenance, rebuilding, ordering items and keeping in contact with suppliers. Apart from the administrative part of his job, he also helps the maintenance technicians whenever needed. – The benefit with MaintMaster is that you can structure your maintenance in a good way. It’s easy to see upcoming activities, Stefan says. Emballator Mellerud has automated a lot of their processes, but maintenance is always needed. So, together with MaintMaster, they can make sure that their maintenance is performed on time, and minimize the risk of something being forgotten.